Charter a luxury private flight to Fort Myers for your next vacation. One of the most popular tourist destinations in Florida, its relaxed atmosphere, gorgeous beaches, and consistently good weather make Fort Myers an ideal destination for private charter flights. Naples Jet Charter representatives can arrange the perfect flight itinerary for your visit to this charming Gulf Coast paradise. Whether you’re flying to Fort Myers with a group or solo, (FMY) Page Field can accommodate you with its 6,406-foot runway. Wyvern certified, our Fort Myers Jet Charter brokers have the experience and qualifications necessary to ensure that your private flight to Fort Myers is your best private flight yet. Our private aviation company can satisfy nearly any request, whether you need a multi-leg private flight with gourmet in-flight catering or a private helicopter lift to your destination. We’re available 24 hours a day and 7 days a week to ensure that your needs are met exactly when they need to be. Request a quote now or call to book your luxury private flight to Fort Myers. Renting a private jet for your next trip to Fort Myers is easy when using our private jet charter company. As one of the most popular destinations on the West Coast of Florida, there are plenty of things to do for private jet travelers in the area – including enjoying a wealth of top-notch resorts and hotels. 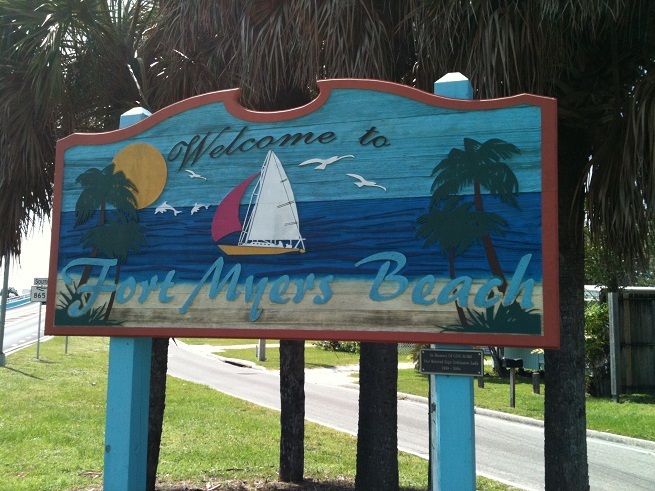 Whether you want the resort and spa experience or a personable bed and breakfast, Fort Myers has it all. Beachfront rooms, impeccable service, and unrivaled comfort are the norms in Fort Myers, so regardless of where you stay after your private flight, you’re sure to have a great time. However, the number of options can be a bit overwhelming when trying to pick the best place for your stay. To make things a bit easier, our Fort Myers Jet Charter team has compiled a list of the absolute best places to stay for private jet travelers in the area. Based on client feedback, online reviews, amenities offered, and location, there’s sure to be a hotel on the list that works for you and whomever you’re traveling with. Most private flights to Fort Myers are carrying passengers who are looking forward to a relaxing vacation, rather than a work conference or social event. While the latter does occur here due to new businesses popping up all over the place, the main attraction is still beach-side peace and quiet. Should your private flight to Fort Myers be for a bit of rest and recovery, one of the most popular activities in the area is yachting. Our Fort Myers Jet Charter brokers can arrange cruises, destination sails, and fishing trips on just about any vessel, whether you’re throwing a get-together on a motor yacht or seeking a romantic retreat on a catamaran or sloop. If you’re hoping for a bit of food and wine with your ocean cruise, you need only let our brokers know how much and what type, and it will be waiting for you when you board. Aside from yachting, Fort Myers is well known for its top-tier golf courses and elegant course-side lounges equipped with full service bars and unimpeachable service. Whatever you decide to do in Fort Myers, you’re sure to have a great time after your private flight with so many options when it comes to activities and events. However, building an itinerary can be a taxing experience when there are so many options. To help with this, our jet charter brokers have used their knowledge to come up with a list of the top attractions for private jet travelers in the area. Based on Fort Myers Jet Charter client feedback and online reviews, the list is sure to have a few things that deserve a spot on your itinerary; see the list below! Lee County, located along southwest Florida’s Gulf Coast, is home to a wealth of destinations for affluent, upscale travelers to indulge in outside of Fort Myers. 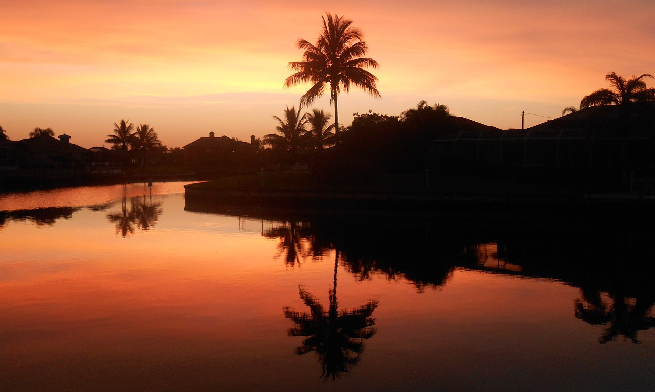 Sanibel Island, Cape Coral and Cayo Costa are all great waterfront destinations for travelers who enjoy swimming, boating, fishing, golfing, and plenty of sunshine along white sandy beaches. Kick back with a Mango smoothie in hand and relax while you check out more information about your upcoming visit to Florida’s Gulf Coast. With white sugar-sand beaches, vibrant subtropical flora and stunning blue green waters, it’s no wonder that Sanibel Island is a top private flight destination on the Gulf Coast. Often touted as the most beautiful island in the state, Sanibel has tons of luxury accommodations, dining establishments, and shopping venues that jet travelers of every interest will enjoy. Our aviation reps can arrange flights to (KRSW) Southwest Florida International Airport to get you to the area. However, the airport is about 40 minutes from Sanibel driving, so we can also arrange a helicopter lift direct to the island at (F4D9) Bowman’s Beach Helistop. Call now for unlimited free quotes. Chartering a private flight to Bonita Springs is great for anyone hoping to experience the Gulf Coast at its finest. Part of the Cape Coral and Fort Myers area, Bonita Springs is a popular side stop or day trip for people staying in Naples and North Naples. If you happen to be in the area during an exhibition, the Art League of Bonita Springs is definitely worth a visit; they create interesting and dynamic displays of the best local artists, as well as some pieces from foreign artists. Should you hear of any other festivals in Bonita Springs, it’s probably going to be held at Riverside Park. This scenic hideout is popular amongst visitors and locals for its holiday celebrations, art shows, festivals, and movie nights. Whether you choose to enjoy the festivals or not, if you’re in Bonita Springs, you’re never more than 15-minutes from the gorgeous beaches of the Gulf Coast. Several state parks preserve the white sugar-sands and vibrant sea life that make the area so special; so head out to Bonita Springs for awesome parks, scenic yachting and kayaking, and relaxed living. Call now for unlimited free quotes on a private flight to Bonita Springs. Rent a private jet for your next trip to Florida’s gulf coast, and take some time to check out Cayo Costa- the Gulf’s most secluded and picturesque island. Reachable by ferry, helicopter, or boat, this island is about as quiet as it gets. Consisting entirely of state park protected land, this 2,426 acre stretch of beach and native flora is the perfect place to do some snorkeling, bird watching, or fishing. Whether you want to stay overnight in a cabin, or just head there for a day, it’s always worth the trip. However, make sure that you bring everything you need with you, because the island has no shops or potable water. Our private aviation team can arrange a flight to the area, so call now for unlimited free quotes. Naples Jet Charter utilizes the following airports to fly clients privately to/from Fort Myers, Florida and neighboring areas. Request a Quote or give us a call at 1-888-987-5387 to speak with one of our Fort Myers Private Jet Charter agents for your next luxury vacation, business trip, or special event.